Ever since Amazon updated their Android and iOS Kindle apps to add support for Immersion Reading, aka Whispersync for Voice, they’ve been promoting the service a lot more lately by giving away a free classic ebook and audiobook combo each month. 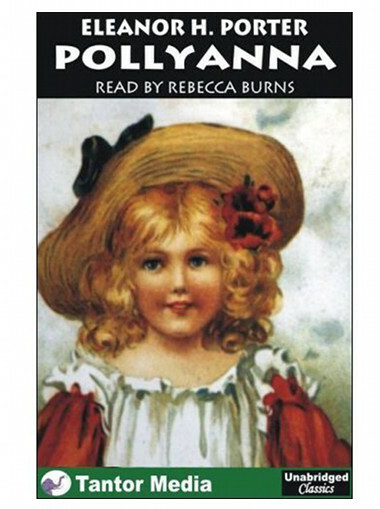 This month’s free title is Pollyanna by Eleanor H. Porter. After you “purchase” the free Kindle edition of the ebook, the price of the Audible audiobook will automatically drop to $0.00. In order to make use of the Immersion Reading feature to switch back and forth between reading the ebook and listening to the audiobook and have everything sync together automatically, you need to use a Kindle reading app for iOS or Android, or a Kindle Fire tablet, Kindle Touch, or Kindle Keyboard. You can still listen to the audiobook even if you don’t have any of those supported devices using an MP3 player, computer, CD player, or a number of other platforms—it just won’t sync your reading position with the Kindle ebook. Unloved and unwanted, orphan Pollyanna Whittier boards an eastbound train to live with her Aunt Polly, a wealthy spinster. Aunt Polly treats the child insensitively, giving her a musty room in the attic and expecting her to keep quiet and stay out of the way. Pollyanna, with her optimistic outlook on life, turns all the lemons thrown her way into lemonade; punishments are viewed as rewards, unfriendly people in town are befriended. Pollyanna’s “Glad Game” is soon played by all the people of the town. A terrible accident with a motor car as she is crossing the street finally breaks Pollyanna’s spirit. When long-held secrets are finally revealed, even Aunt Polly comes around to warming up not only to her niece, but to a relationship she had long denied herself. Thank you, this will be fun to read/listen with my kids! Wish it were Wind in the Willows!